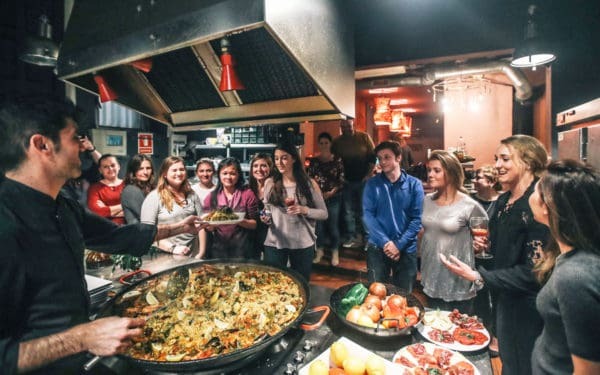 36 Cool Things to do in Barcelona ~ Flamenco, Paella cooking, Cava making! Looking to experience Barcelona in an original way? Here are some alternative ideas that will get you off the beaten path, and show you the Catalan capital in a new light… the highlight of your travels is waiting for you on this very page! Everyone’s heard of the main attractions in town, like La Sagrada Familia and the Picasso Museum, but what about some of the cool and different things to do in the capital of Catalonia? In a city as magical and mysterious as Barcelona, there’s plenty to savour that goes beyond the ordinary… experiences that stay with you long after you’ve left and which, at the very least, will leave you with plenty of holiday snaps that go beyond the usual photo fodder of Gaudi buildings and greasy paellas and overpriced jars of sangria on Las Ramblas. 1. 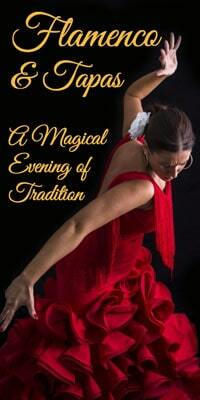 Eat Tapas… And Dance Flamenco! Ok you don’t actually dance flamenco. That’s best left to the professionals! But you do get to see a first class show by some of Spain’s foremost musicians and dancers, and then enjoy some traditional Spanish cuisine in the form of tapas. This night is great way to combine two of Spain’s most famous traditions into one evening at an unbeatable price – it’s just €35 all included. 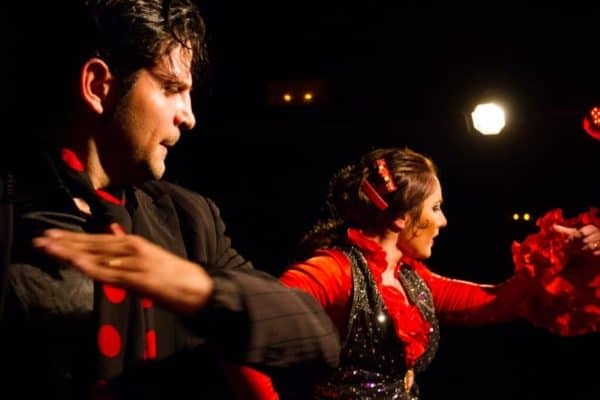 For more options read our article on all the best flamenco shows in town. We’re hardly sharing a secret when we say that Gaudi’s landscaped gardens are one of the best places to visit in Barcelona. 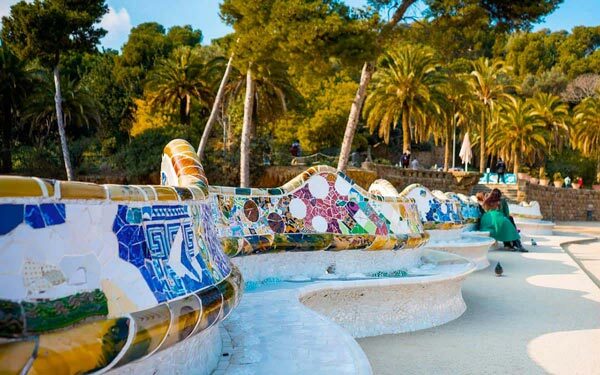 But if you really want to experience Park Guell at its romantic best, then head there in the evening, when the late afternoon glazes the gorgeous trencadis-decorated terrace, and you can look over the whole of Barcelona bathed in soft golden light. Advance tickets are essential, but just select the third last entry time available on the day of your planned visit. Entry slots are every hour, so if the last entry is 5.30pm, select the 4:30pm entry – that will give you plenty of time to see the park and enjoy the sunset. The ‘Steel Donkey’ in this case is simply a euphemism for an ordinary bicycle – but there’s nothing ordinary about Steel Donkey Bike Tours. Gaudi and Las Ramblas are off the menu. 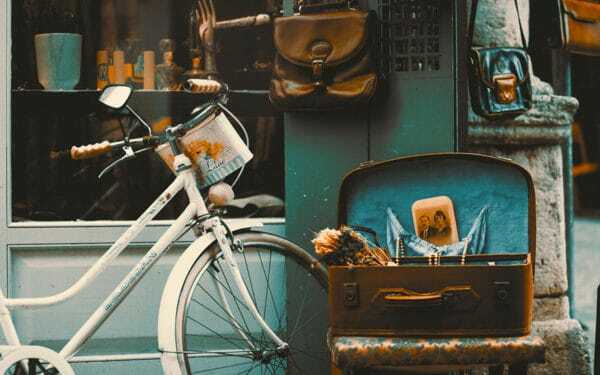 Instead you’ll ride in a small group of amigos around the back streets of El Borne, the village district of Gracia, or the old industrial ruins of Poblenou, taking in recycled workshops, flea markets and graffiti en route, as well as stopping off for local snacks. 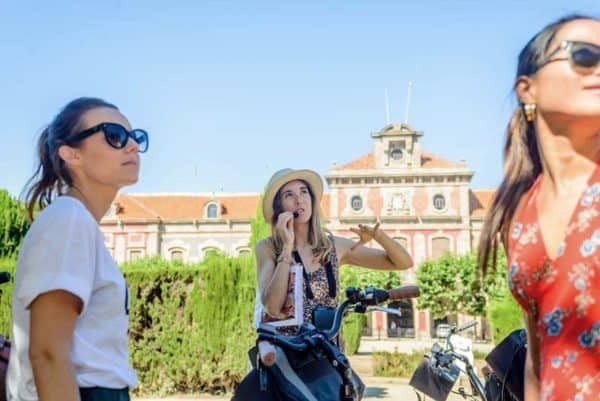 Barcelona’s original alternative tour, this is an action-packed day out on two wheels with rave reviews. Best to book in advance as they do tend to sell out. It’s not often you need a fur-lined Arctic coat to enter a bar in Spain, but at Barcelona’s Ice Bar you’ll be grateful for it – and the gloves as well. Literally on the beach at Port Olimpic you can switch from sweltering hot sands to Siberian sub-zero temperatures in seconds. Drink vodka from frozen glass, admire Gaudi-esque ice statues and then ask the cutie next to you if they’d like to share body warmth – just for survival purposes of course! Click on the link before to read more, find location map and see reviews, or click the button to head straight to their own website. 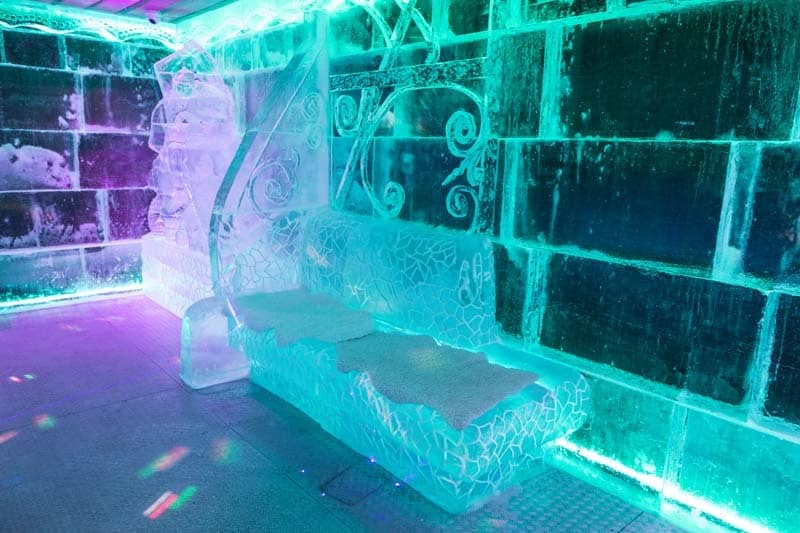 Chill Out at Ice Bar! 5. 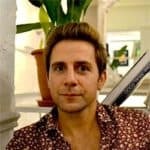 Get Cooking – Spanish style! Learning how to prepare the perfect paella and mix the tastiest sangria by taking cooking classes with a Spanish chef. The paella of course is one of Spain’s signature dishes – a vast platter of rice and meat/seafood/vegetables (or all three!) normally made to share. Fun, friendly and a little bit messy this is a great activity to do alone or with friends and learn a skill that will definitely make you popular back home. Check out our article on food and drink activities for more gastro fun and frolics. No doubt you’re planning on visiting La Sagrada Familia, but don’t miss half the fun with a standard tourist entry. Book a ticket with access to one of the church towers and get panoramic views over the whole of the city, whilst also getting up close to some of the incredible architectural details at the top of Gaudi’s basilica. There are two towers that are open to the public, Nativity and Passion. In both cases you take the lift up and then walk down. For my money, the Nativity Tower is a bit better, because there are small bridges where you can stop and take a photo more easily than during the descent from the higher Passion tower. 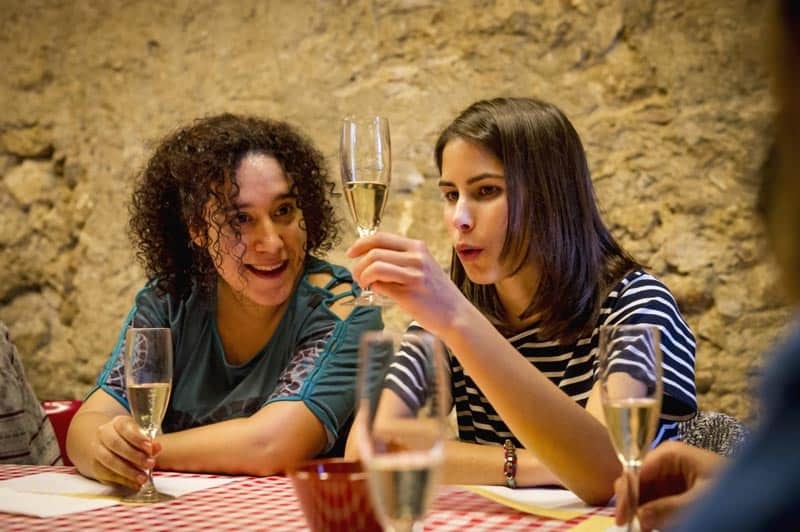 Cava is, of course, the Spanish version of Champagne and during this zany activity you’ll take the train out to a 1,000 year old farm house in the Penedes wine region of Spain and bottle your own brew! You’ll taste three different varieties of the sparkling stuff and then ‘disgorge’ the bottle and apply your own custom made label, whilst learning a lot about Cava production in the process. The activity is great value at just €42 per person, with option to add a delicious rustic lunch. This is one of the most popular activities we’ve ever written about on Barcelona Life! Keep reading for even more wine-related trips and tours, including city-based tastings. 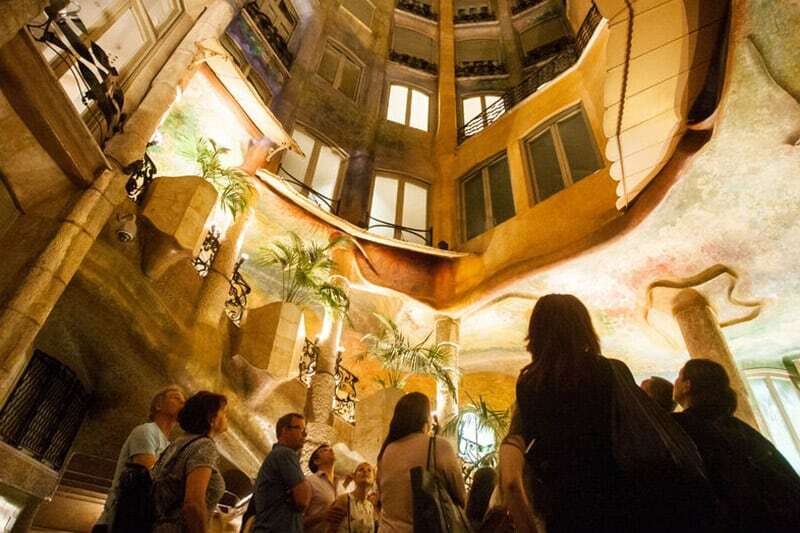 No need to queue up with all the tourists during the day, Gaudi’s curvy little number, La Casa Mila, throws its doors open at night for it’s La Pedrera: The Origins show. The evening starts with a night tour of the premises, and you can wonder at the architect’s flair for epic interiors, before you slowly make your way up to the mansion’s rooftop. Here you’ll be treated to a mesmerising audiovisual show projected onto the terrace’s undulating forms and magnificent chimneys. Included in the price is a glass of sparkling Catalan champagne and snacks. Tickets available via Get Your Guide. If you’re more of a morning person however, you could book yourself a ticket for “The Awakening” instead. 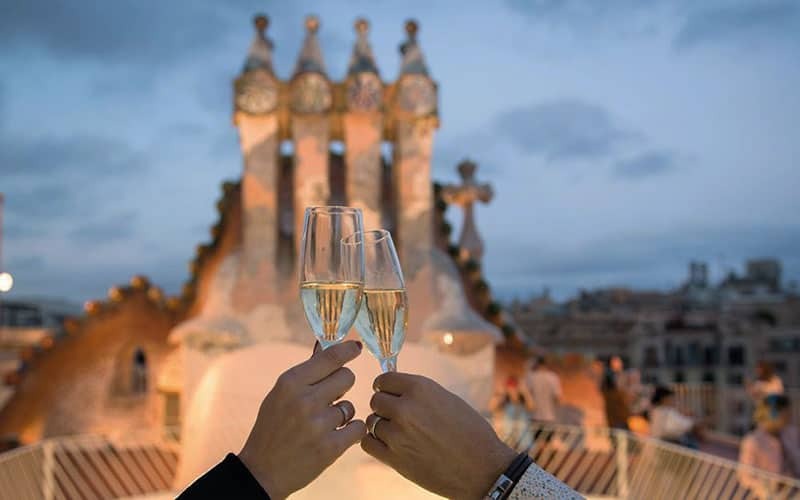 One of our favourite new additions to this page, the chance to enjoy a concert of live jazz, blues, pop or funk on the sensational Casa Batllo terrace is not to be missed. A warm Mediterranean breeze, a glass of champagne or beer, beautiful surrounding and your partner or friends for company – they don’t call this series of concerts Magic Nights for nothing! Tickets sell out most nights, so best to grab them in advance via Get Your Guide. Included in the ticket price is a night tour of this fabulous, UNESCO-listed mansion. Currently unavailable due to restoration work. Should be available again in July 2019. If you’re a fan of “creative tourism” one great option that combines sightseeing with learning and creativity is to take a photo tour. 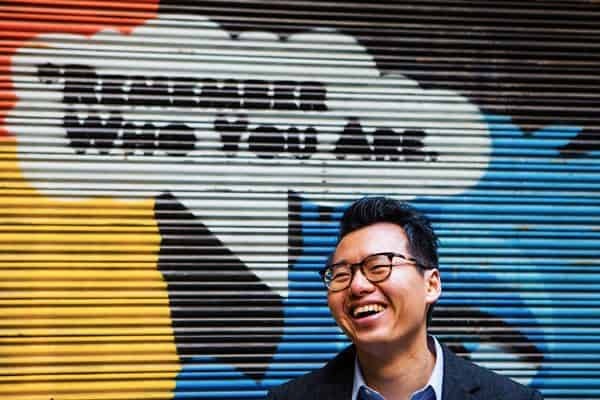 Shutter Kings Barcelona organise tailor made photographic walks for budding shutterbugs, and their professional team will lead you through some of the city’s fascinating labyrinthine back streets where you can capture the soul of the city with your lens. No matter whether you shoot with a state-of-the-art DSLR, a point-and-shoot or even your camera phone their team have plenty of tips for making your shots stand out from the crowd. For just €70 per person you advance a lot in this fantastic life skill… and have fun at the same time. Not the Like A Virgin singer, but the real virgin Mary, or at least her image – The Black Madonna. This little statuette is kept safe at the Montserrat Abbey, up high in the peaks of Montserrat Mountain, where it draws pilgrims from around the world. 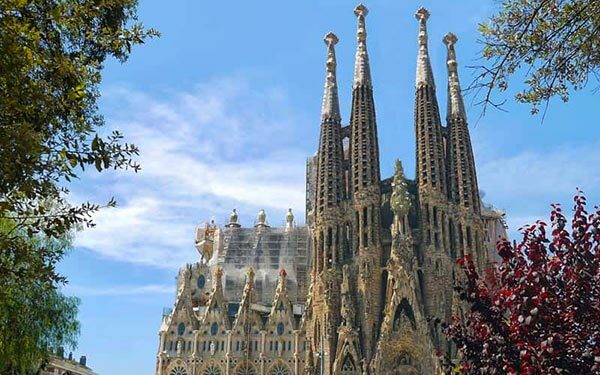 It’s not just the religious who visit though, as the “jagged mountain” is breathtaking to behold and is in fact Barcelona’s most popular day trip destination. 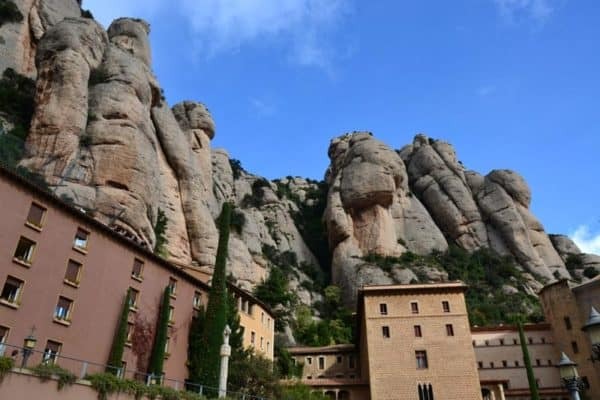 You can get there by public transport, or several tour providers will take you… I’d personally recommend this Montserrat & Wine Tour, which combines a visit to the mountain and abbey with wine tasting in a 10th Century castle. Click here for more info. If you fancy yourself as a bit of a Sherlock Holmes, or even Indiana Jones, then pit your wits against the puzzles and challenges of one of Barcelona’s great escape rooms. There are several companies operating in the city and each has one or more interactive games where you have to frantically search for keys, crack codes and solve conundrums to progress and eventually leave the room! 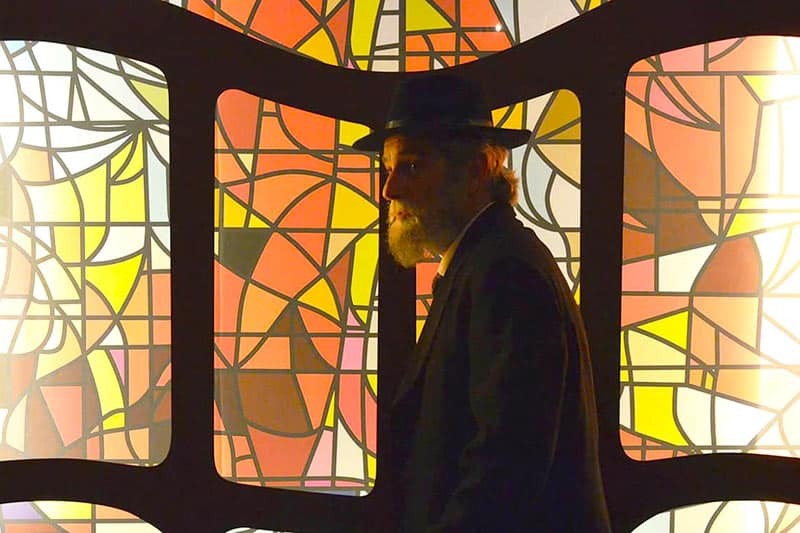 Some of the storylines are a lot of fun, and if you’re looking for something different to do in a small group of friends this might just be perfect for you. When in Barcelona you would be crazy not to take the opportunity to set sail on the glittering Mediterranean sea, and enjoy sensational views of the city’s coastline with the sun warming your skin and the wind blowing in your hair. 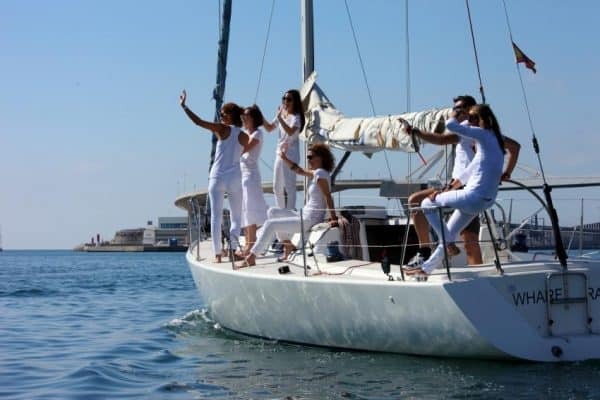 We have listed all of the best boat tours in the city right here, where your options include two hours on a sailing yacht, with a glass of vermouth, a sunset cruise with Cava and live music plus several private experiences like this Chill Out Sailing Tour, which is perfect for couples or small groups of friends. Set Sail on the Mediterranean! 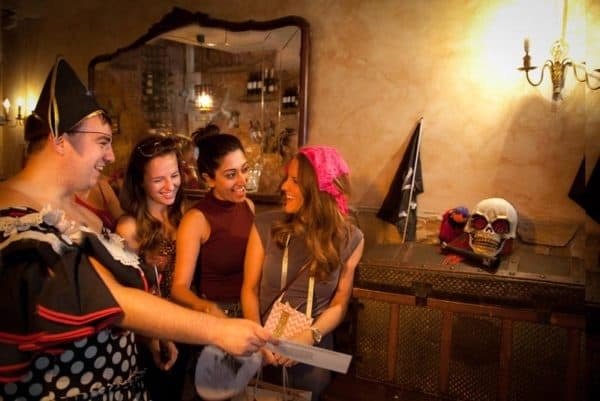 That’s right m’hearties, get as drunk as a sailor with a horde of other wild young things during an epic Barcelona booze cruise, which sets sail several times a week during the warmer months, especially during weekends. There are four different parties to choose from, and whilst most feature BBQ, DJs, games and a shipload of beer, cocktails and sangria, you can even opt for a more sophisticated Champagne Sunset Cruise, which is a great evening event with a touch of elegance. Definitely one of the best things to do in BCN for party animals! 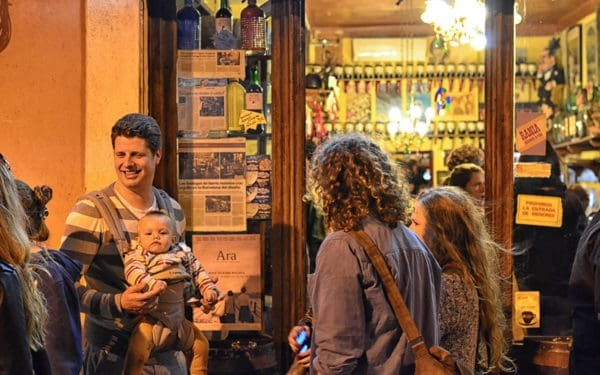 Sign up for an evening of authentic tapas with the local expert guides of Tapas & Beers, who will show you three or four of the very best bars and bodegas in the hip Sant Antoni and Poble Sec neighbourhoods – and help you select the signature dishes at each locale. This small-group experience offers a fantastic mix of food, culture and fun, as you learn to eat like the locals. 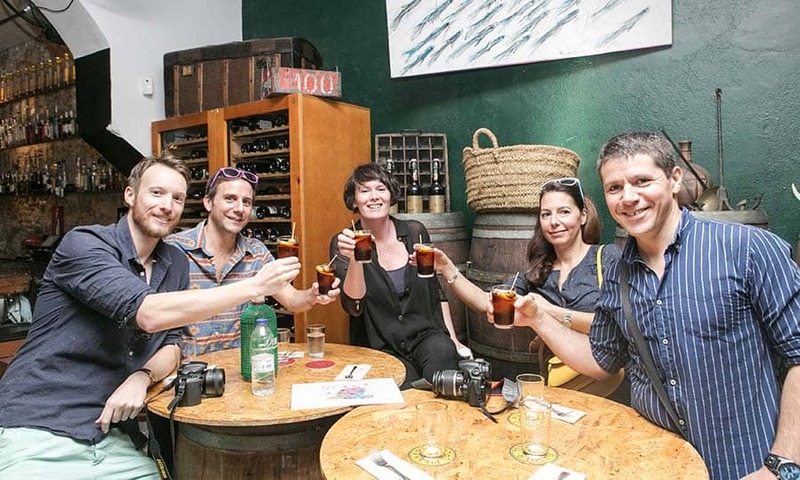 For a complete look at the local food scene try the Catalan Gastronomy Tour run by Food Tours Barcelona. This lunchtime tour takes you through the historic Sant Antoni neighbourhood, starting with a visit to the district market (which is much more authentic than the overcrowded Boqueria!) and then continuing to three of the best bodegas and restaurants in town to taste a mix of traditional and avant garde cuisine. You also get to visit an artisanal shop, make your own pan amb tomaquet (tomato bread) and drink from a classic porron vessel amongst other experiences. If you’ve been ordering the same thing behind the bar for too long now, then how about enrolling for some cocktail classes in Barcelona… under expert guidance you’ll learn how to mix some of the tastiest concoctions known to man and serve them up with panache. Mark our words, once you’ve mastered the simple art of putting together the perfect caipirinha you’ll be the most important guest at any party. Organising by partners of Barcelona Life, the experience is perfect for stag dos or hen parties, or any party-minded group of friends. There’s also a regular Cocktail Masterclass & Tapas session for smaller groups can join. Click the button below to learn more. 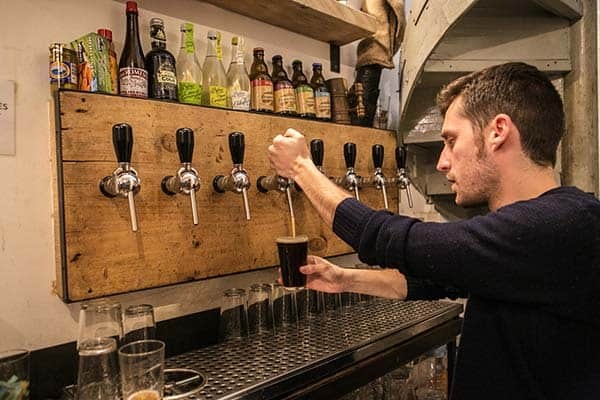 Like most of the world, Barcelona has experienced a craft beer revolution with scores of boutique breweries, beer bars and festivals appearing from nowhere to wet our whistles with delicious artisan ales. 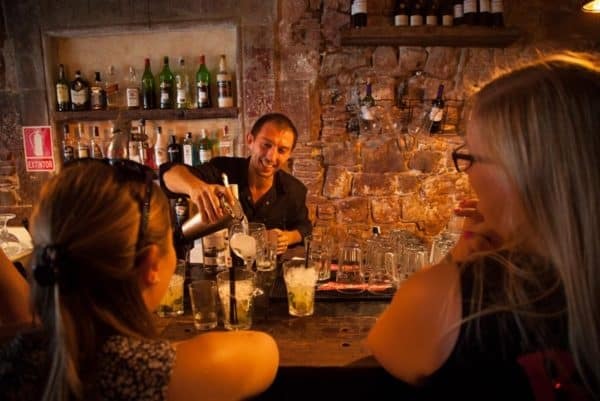 You’ll find great bars dotted all around the city, with a concentration of cool venues above Plaça Universitat in what is unofficially known as ‘the beer mile’. You can even take a tour of some of them in the company of a local expert and brewer. Few locals ever make it as far as the Parc del Labirint in Horta (nearest metro is Mundet), making this green space a great place to lose both yourself and the crowds. 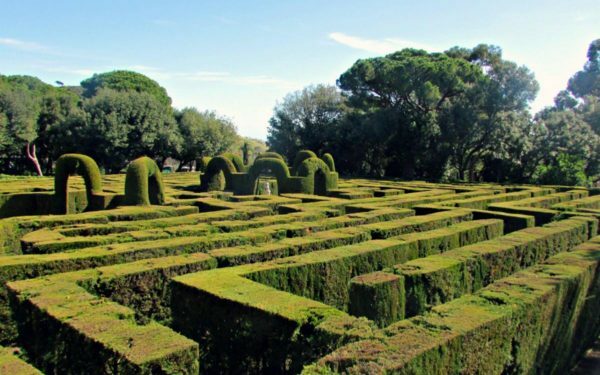 As you have guessed by the park’s name the centrepiece is its wonderfully intricate maze, designed in the 18th Century by the architect Domenico Bagutti. There’s a token entry fee of around 2 euros, although if you’re really feeling the squeeze there’s free entry on Wednesdays and Sundays. All in all a great option if you’re travelling with kids. More on Barcelona’s beautiful parks here. 20. Take a Helicopter Flight! 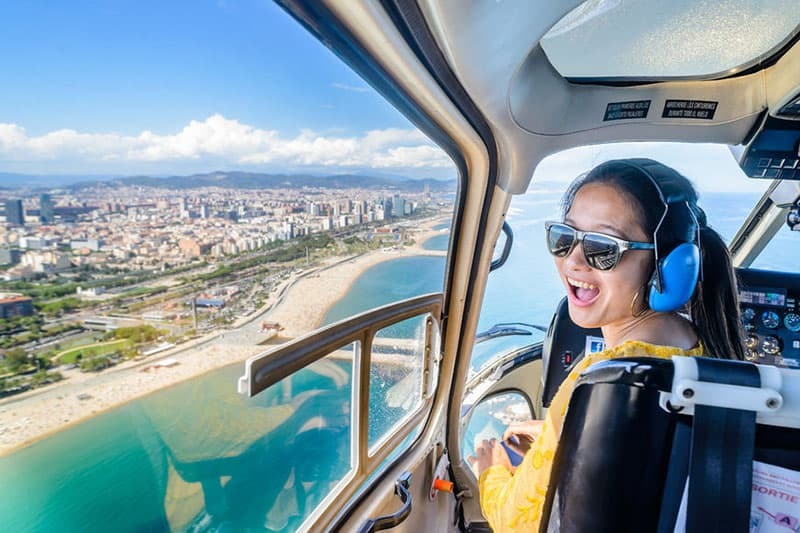 See Barcelona from a completely different perspective during a breathtaking helicopter flight over the city’s coastline. With the Mediterranean below and the Collserolla mountain range to the North West, Barcelona looks stunning from the air, and you’ll be able to appreciate the scale of epic architecture like the Olympic Port, the Torre Glories, Parc del Forum and of course La Sagrada Familia (which is even bigger than you think!). You can book a six minute flight via Get Your Guide, or for just €20 more you can book a helicopter flight, boat trip and walking tour of the Gothic Quarter in one. The latter is an unbeatable value experience with consistently fantastic reviews. It’s not every day you get to sit behind the wheel of a Ferrari, let alone drive one around the streets of one of the most beautiful cities in the world. 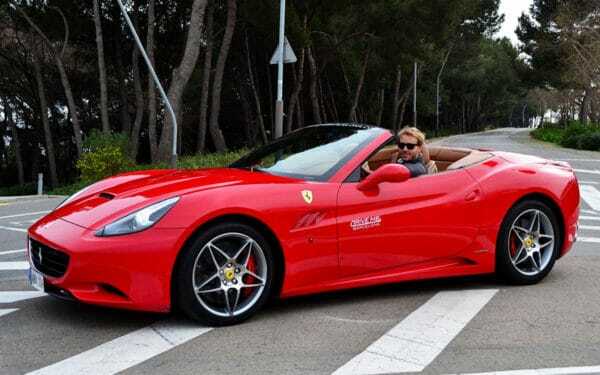 A ride in a California convertible starts at just €88, whilst those with a bit more time and money can choose to motor along the winding roads of the Catalan countryside, where you can pretend you’re James Bond on the way to Monte Carlo. Click on the button below for more details about these luxury supercar experiences. Culture vultures looking for something other to do than queuing outside Gaudi’s many monuments might enjoy La Casa de la Seda. 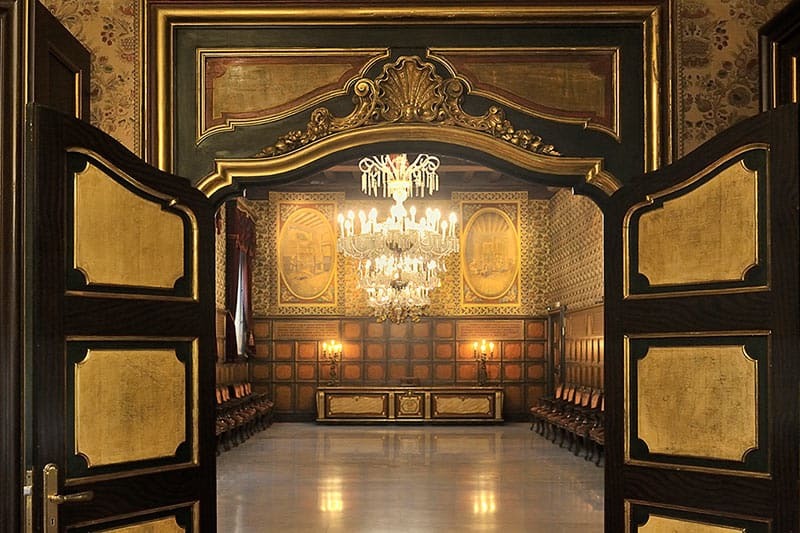 Once the headquarters of the city’s influential Guild of Silkmakers, today it’s an elegant museum to those times. A guided tour (Saturday mornings, twice a month) takes you through its lavishly decorated rooms and gives you some of the history of this lucrative trade. If your visit doesn’t coincide with one of the scheduled tours, you can book a private visit. That’s right grandpa, Barcelona is currently considered the skateboarding capital of the world and is all the rage with the Catalan cool kids who take their boards wherever they go. 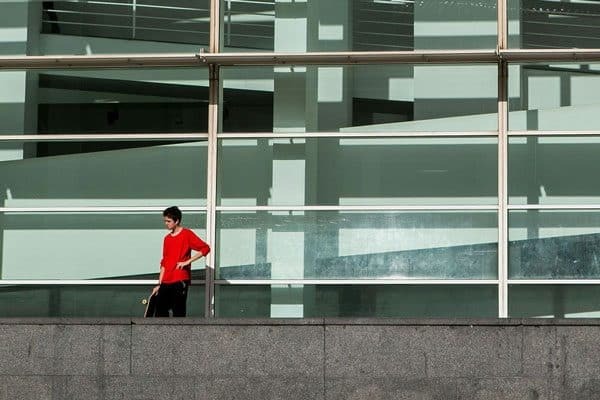 You can catch them practicing their tricks every evening on the Plaza del Angels by MACBA, and soak up some of the alternative vibe with 1 euro beer from a friendly Pakistani vendor. If you want to join in check out Free Skate Shop just round the corner to pick up a board. Barcelona’s residents are not shy, as anyone who’s visited the city’s beaches will testify. Half-naked is standard, but if you really want to let it all hang out then head down to either Mar Bella beach, or the Southern stretch of Barceloneta (called San Sebastien) towards the W-Hotel. On both these stretches of sand you’ll find some liberal folk bronzing their bits and you’re more than welcome to join in! At Mar Bella you’ll also find some cool gay-friendly chiringuitos for post-tanning mojitos. In this group activity (min. 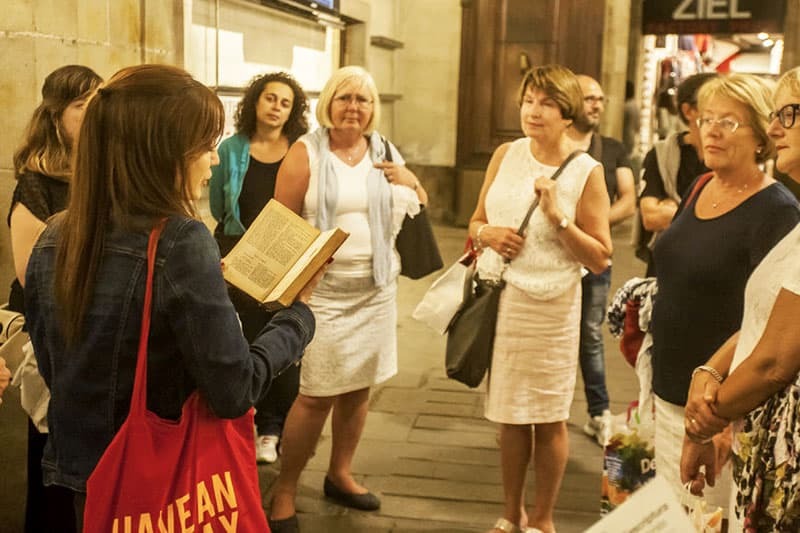 8 players), you race against both the opposing teams, and the clock, as you navigate the winding streets of the Barri Gotic and beyond in a bid to find the (proverbial) treasure in this interactive urban game. You’ll have to solve cryptic clues, consult your compass and move sharpish to claim the winner’s bottle of Spanish champagne. 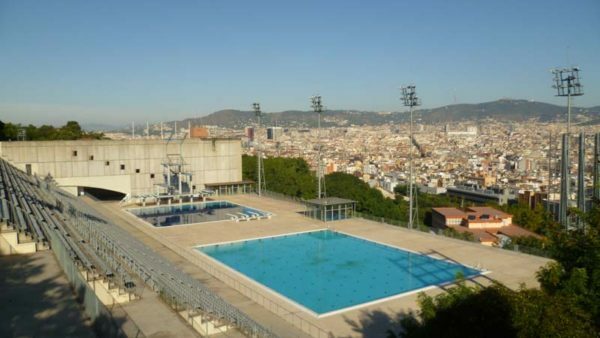 For amazing views over the city and a great place to escape the heat, it’s worth climbing up the hill to the Piscina Municipal de Montjuic. Despite the awesome location, the pool doesn’t tend to get too crowded and you should find a spot to lay down a towel and sunbath, as well as of course swim and enjoy the vistas. Open July and August only. This is a city that knows how to party, and you can hardly say you’ve visited if you didn’t spend at least one night drinking and dancing until dawn. 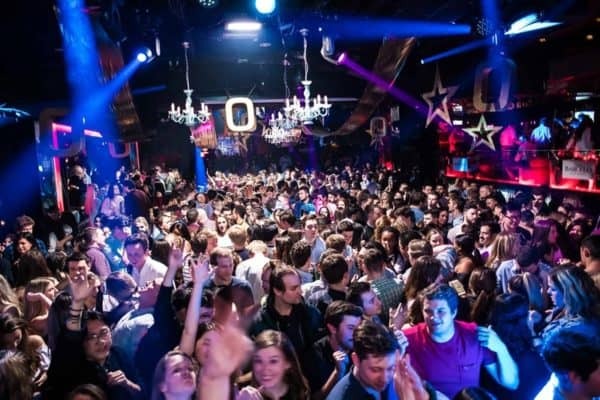 Our guide to going out recommends a range of great bar and clubs where you can spend the evening, or check out this VIP Nightlife Tour for an unforgettable night in the city’s most glamorous venues. If you did go out and explore Barcelona’s nocturnal leisure options, you might be pleased to discover that both fried breakfasts and healthy brunches are very much en vogue in the city right now. 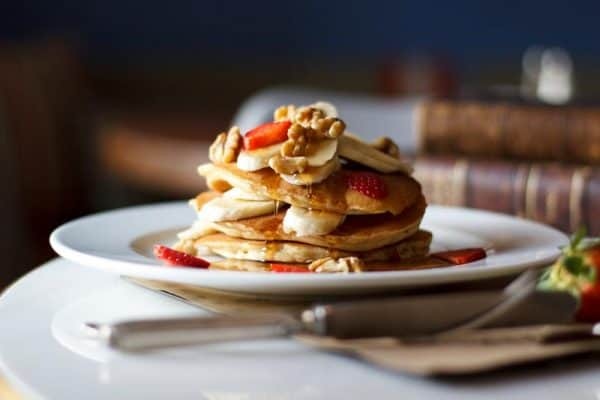 If you need to recharge and refuel check out our list of the best places above to kickstart your day. Barcelona is big on the Bohemian style and you’re much more likely to score style points in the Catalan capital with faded Americana shirts and 80s leather jacket than the latest labels from the high street. Carrer Tallers is the best place to hunt for hand selected and hard to find items from yesteryear, or read more on our feature article. If you simply can’t do without your Prada, Diesel and Zara check out our guide to shopping in the city. 30. Be a Model For The Day! The same company that offers to teach you the art of street photography, also offers to turn you into the next Gisele Bundchen… well for one glorious afternoon at least. During the Shutter Kings photoshoot experience you get behind the camera, and in front of some of Barcelona’s most iconic landmarks (and / or hip hidden corners) for your own private modelling session. By the end of the day you’ll have a portfolio of incredible portraits that you’ll want to share with everyone on Instagram and beyond, which also double as wonderful visual souvenirs of your time in the Catalan capital. 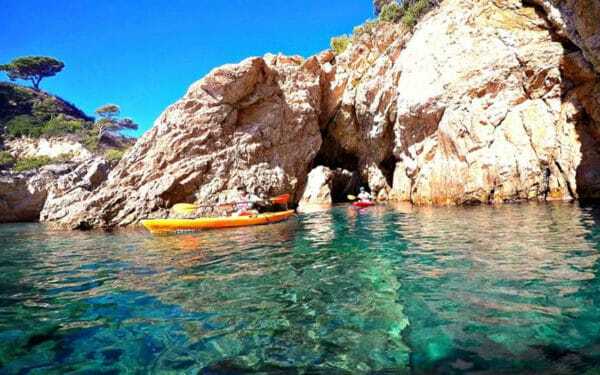 From May to October, you can grab a minibus from Barcelona centre every day at noon and within a couple of hours be on the sparkling emerald waters of the Costa Brava, paddling around breathtakingly beautiful coves and bays. The water here is crystal clear and you’ll be able to see all manner of marine life below, and if you need a closer look this day trip (run by a trusted Barcelona Life partner!) also includes swimming and snorkelling in caves. If you love nature and a bit of exercise this is the activity for you! 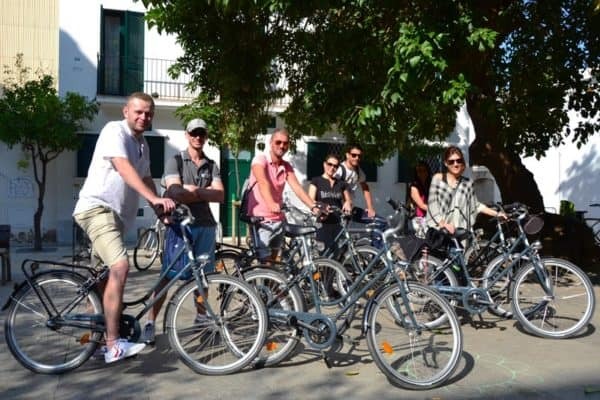 The Catalan capital is chock-a-block with providers offering a little sightseeing via cycling, but how many of them also offer you a turbo-boost in the form of assisted battery power? Take a bike tour with Barcelona e-Bikes and you’ll be racing around the city on a vehicle that is something between a traditional bicycle and a scooter – and which can get you up and down hills even a doped-up Lance Armstrong would quiver at. Great for covering a lot of ground, without having to get on a tourist bus. 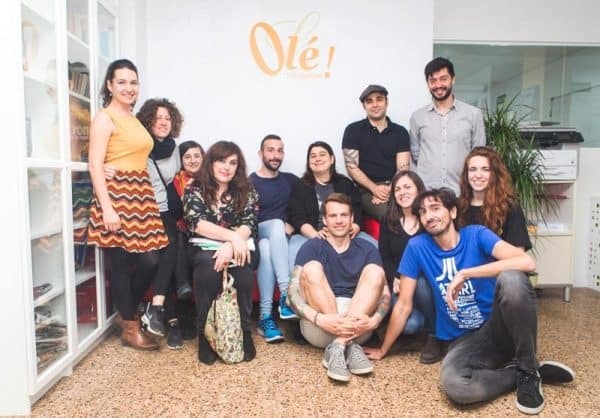 If you’re in town for longer than a few days you might want to consider signing up for an intensive Spanish course – in which case check out our page on language schools in Barcelona. Speaking a foreign language is certainly an exhilarating experience, and at the same time it’s a great way to meet other students and make some new friends with whom to explore the city. If you don’t have time for that you can always check out our pages on Spanish and Catalan language tips. Most tourists don’t leave downtown Barcelona, but those that do are certainly rewarded. 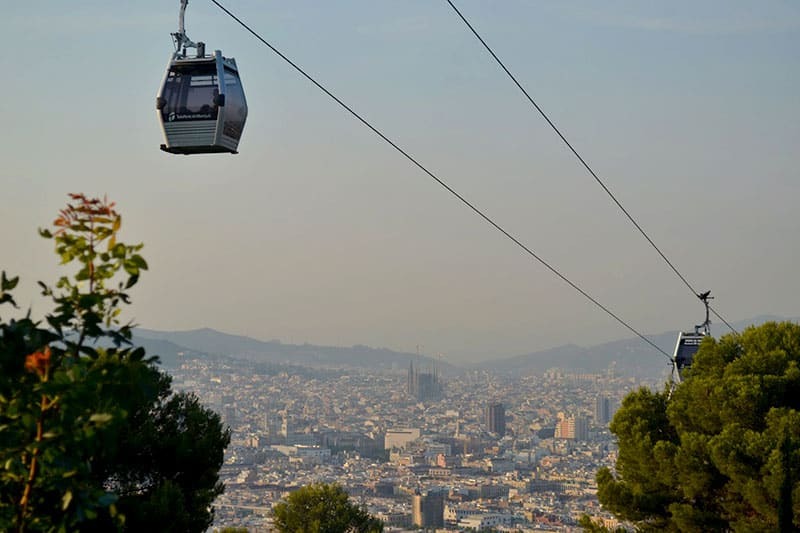 The Montjuic cable car takes you from the bottom of Montjuic mountain (it’s more of a hill! ), up to the old military fortress, where you can enjoy sensational views from above the city. In fact, this castle is just one of many worthwhile attractions on Montjuic, that also include Poble Espanyol, the Joan Miro Foundation and the Magic Fountain, and you could easily spend a whole day exploring. Check our full length article for more. 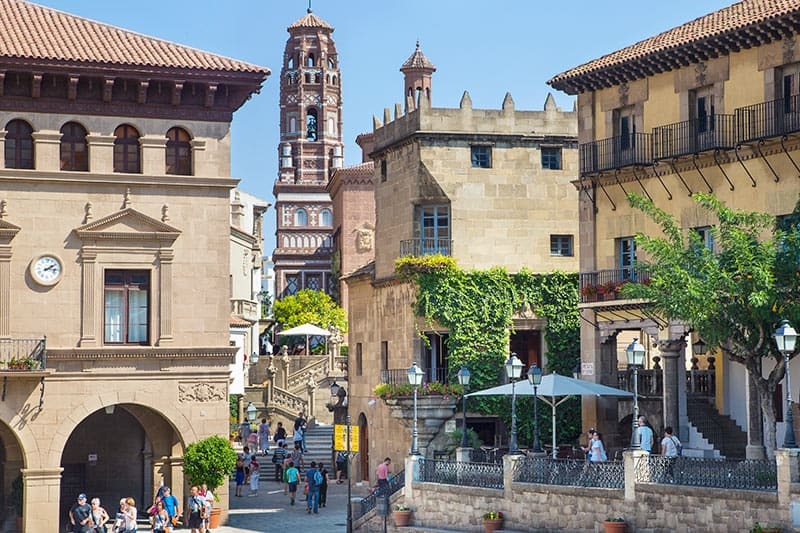 Speaking of Montjuic, the so-called Spanish Village (Poble Espanyol) is one of its top attractions. It was built for the 1929 International Fair and encompasses reconstructions of emblematic architecture from all corners of Spain. It’s the only place in the world where you can see all of the country’s architectural styles in one place. Not only that but the village contains art museums, audiovisual shows, workshops, flamenco tablaos, souvenir shops, restaurants and even nightclubs. Head to our article for more on attractions, opening times and getting there, or go ahead and get your tickets right away on the official website. If you haven’t heard of Carlos Ruiz Zafon’s The Shadow of the Wind head straight to our Barcelona books section now! This magical masterpiece has inspired more than one paperback lover to descend on BCN and retrace the footsteps of the young protagonist Daniel Sempere. Take a literary tour with Get Your Guide and you’ll mingle fiction with reality as you step into the very streets and visit the actual buildings that form the backdrop of the book. For a different take on things consult this nearly-as-awesome-as-ours list by Time Out. We’ll also bring you an epic list of what to do in Barcelona if you’re a first time visitor shortly, with all the top attractions, so stay tuned. I loved the Escape game and the Ice bar, all tested !